Ornament is a repaint of the series issue #12 in 2011. This Version has Santa's vest colored red and the trycicle is green and the pedals are red. Not sold in stores. Only 2 per Gold Crown Hallmark store were available. 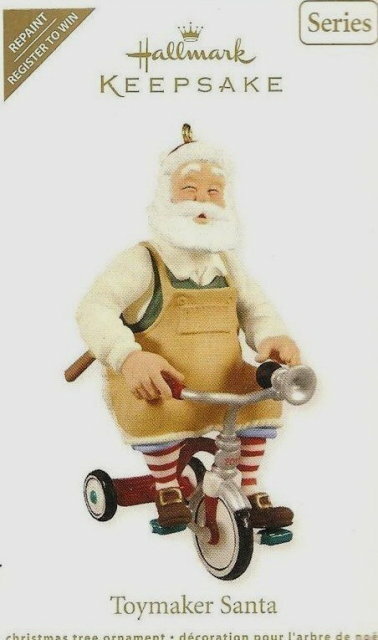 Items Similar To "Hallmark 2011 TOYMAKER SANTA Repaint Register to Win Ornament"